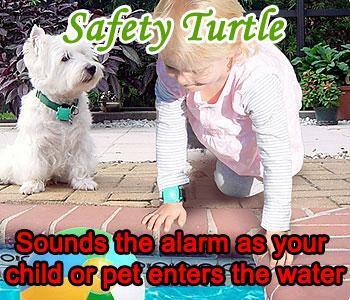 Safety Turtle 2.0 Pool Alarm is the all new and improved version of the original Safety Turtle. The Safety Turtle 2.0 Base station is now conveniently charged through any USB port and also comes with a useful wall socket adapter. The base station is constantly monitoring for incoming alarms from the Turtle wristbands. The unit has a power light and a low battery light to let you know when its time to replace the Turtle wristbands (They last for 3-5 years). If the Turtle wristband gets wet it will immediately alarm at the base alerting you that the child is in the pool. One base can accommodate unlimited Turtles wrist bands. Take it with you to friends or holiday homes. 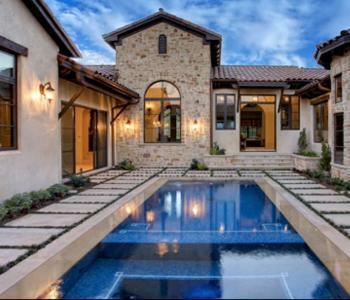 It works in all pools, ponds, baths or water features. There is no limitation to size or weight of the child. Unlike most pool alarms where the alarm is often only triggered for children over a specific weight. Turtle and a key. The key is needed to remove the wristband. Safety Turtle 2.0 is not compatible with the older model.